On Friday, January 27 my oldest son and I headed out to San Francisco to attend a Star Wars press junket for the anticipated release of Star Wars: Episode 1 The Phantom Menace in 3D, which hits theaters on February 10. This was my first time ever to California and his first time ever on a plane, so it was a pretty exciting day for both of us. Neither of us could wait to get there and head over to Skywalker Ranch! Skywalker Ranch in not open to the public so for huge Star Wars fans like us, this is a pretty big deal. We were both a little giddy about the whole thing. We started with a quick plane ride from Connecticut to Washington, D.C. where we had the worst connecting flight situation ever. I had 40 minutes to get us from Terminal A to the far end of Terminal D and we made it with less than5 minutes to spare, running the entire way. My poor six year old was exhausted. Thankfully we had a lovely flight from there to San Francisco. Once we landed we met up with Letica from Tech Savvy Mama and Matt of Geek Dad and headed off to the prestigious Ritz Carlton. When we arrived in our room, it was about 11:30 our time and we were beat. But things quickly picked up when we found these goodies on our bed. This was just the perfect way to end our long day and now we were even more excited for what Saturday would have in store for us. Luckily, we had Saturday morning free to do as we please so we watched a little TV, showered and then headed out for a little sight seeing in San Francisco, which I'll do another post on. We joined the other parent bloggers and their children for lunch and then we all got on the bus to start out journey over to Skywalker Ranch. 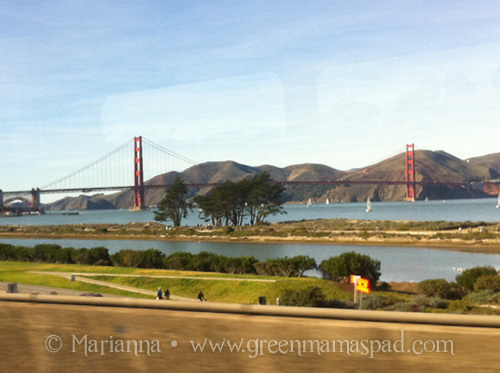 Our bus ride started with a quick drive out of the city and then over the beautiful Golden Gate Bridge. After a little bit of time on the highway, we exited at Lucas Valley Road. After doing a little research I found that the road is actually NOT named after George Lucas, but it is still pretty cool. We were on this road for quite some time, weaving through the beautiful mountains. When we finally pulled up to the gate at Skywalker Ranch, you could feel the excitement from everyone on the bus growing. 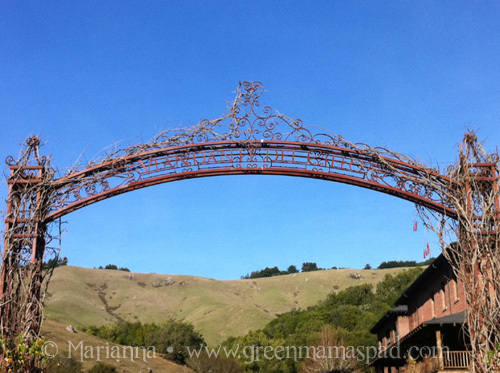 The archway in the photo below, though hard to read here, says Skywalker Ranch in Italian. When we arrived there was a beautiful red firetruck to greet us. 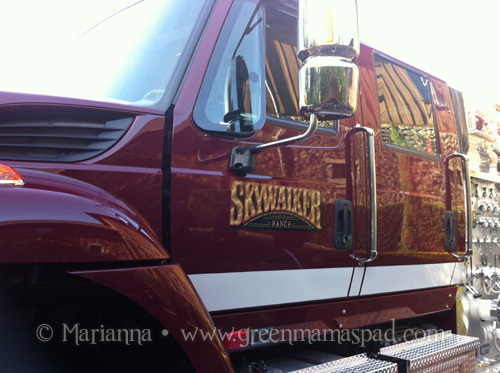 Skywalker Ranch does have its own fire station which not only serves the ranch, but it also responds to other emergencies in the surrounding areas. 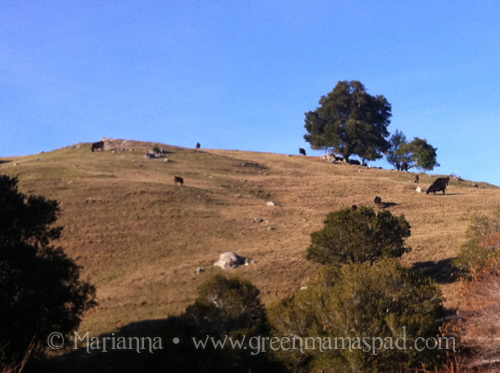 Directly across from where we were standing outside of the Tech Building was a mountain side filled with cattle. 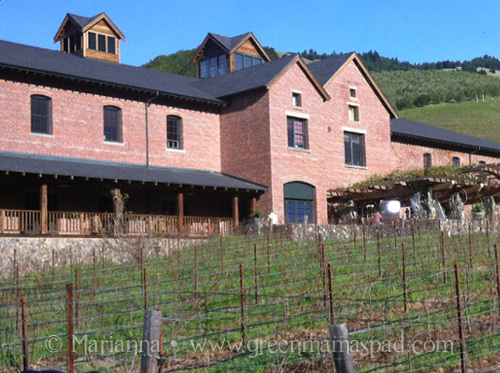 Skywalker Ranch isn't called a ranch just for the fun of it, it actually is a working ranch with cattle, horses, vineyards, olive trees and more. The cows were nice enough to greet us with a few louds "moos." 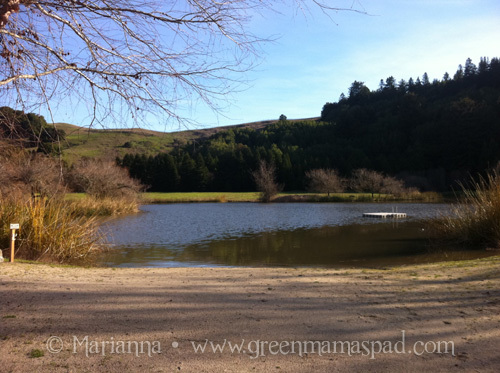 A brief walk down the road, on the way to the Fitness Building, is the lovely Lake Ewok. There is a dock out in the middle so I have to wonder if LucasFilm staff cool off in there during the warm summer months. 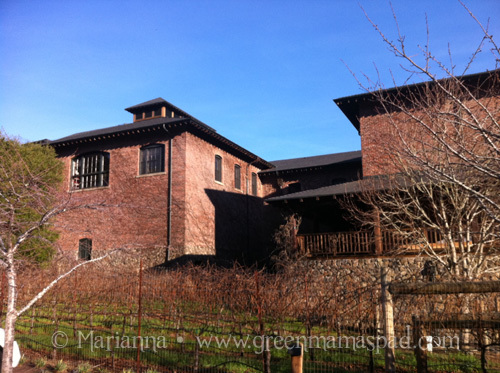 The Tech Building houses Skywalker Sound and is where we spent much of our time. From the outside you can see the beautiful brick work and if I remember correctly, those were olive trees out front. Or grape vines. At this point I was still pretty giddy so some of the finer details are a bit fuzzy. 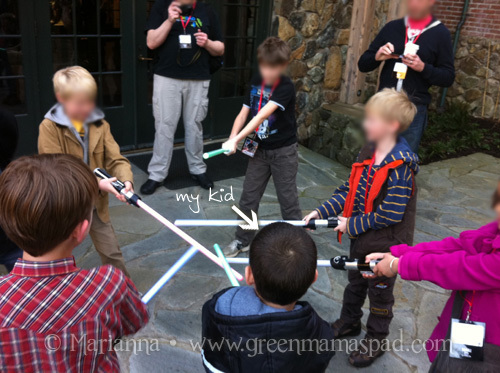 Before heading inside for more of the tour, the kids of our parent blogger group had a little light saber fun together. Periodically throughout the day, light saber battles would erupt. Hey when you hand 8 kids super cool lightsabers, its bound to happen. Once inside we were greeted with an Xbox Kinect demonstration with the soon to be released Star Wars Kinect game. My son decided not to try it out, but we watched a lot of the other children play and it looks like a lot of fun. If only we had an Xbox in our house. 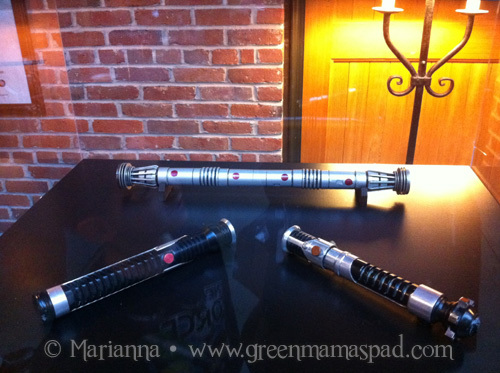 Also on display were some props from Star Wars: Episode 1 The Phantom Menace, including these three famous lightsabers. The back dual lightsaber of course belongs to Darth Maul, front left to Qui Gon Jin and front right to Obi Wan Kenobi. Yoda was also there to provide us with some healthy snacks and refreshments. Thank goodness because we were still on Eastern time and even though it was 3:00pm in California, it was dinner time back home in Connecticut and for our stomachs. 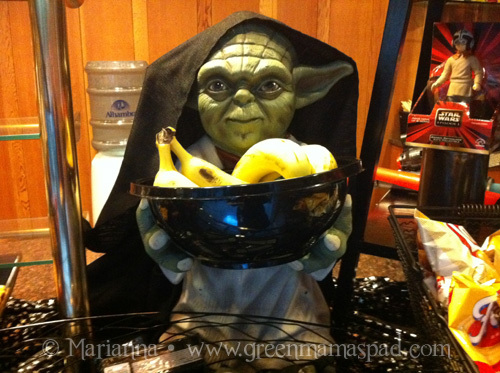 I just have to say that I would love to have this in my kitchen, a huge Yoda fruit bowl! How cool would that be? We then made our rounds to various "workshops." First up was John Goodson, a digital artist for Industrial Light & Magic. In addition to working on Star Wars Episodes 1, 2 and 3, he has also worked on hit films Harry Potter and The Chamber of Secrets, Transformers and the upcoming The Avengers - which we can't wait to see! 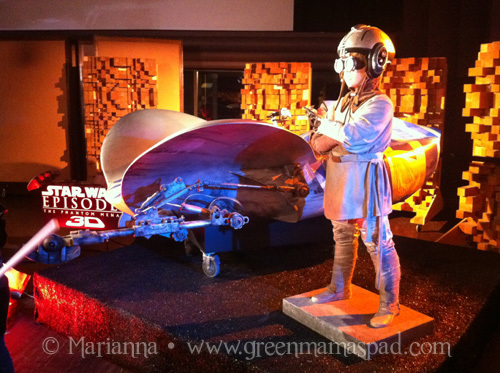 John Goodson talked to the kids about the many models he worked on for The Phantom Menace, including this full size model of young Anakin's pod racer. 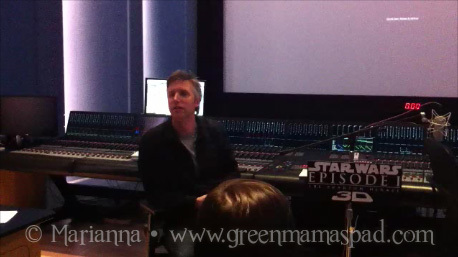 Next we were able to chat with Matthew Wood who is the Supervising Sound Editor for Skywalker Sound. Matthew also worked on Episodes 1, 2 and 3 as well as The Clone Wars animated movie. 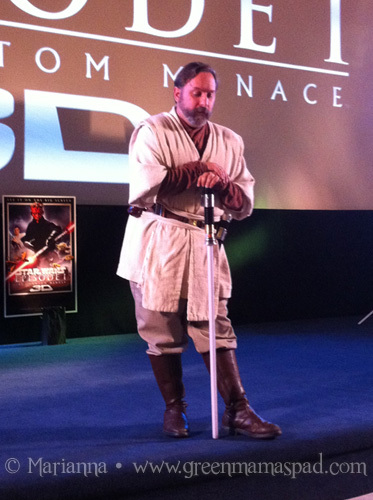 He talked to us about how he add sounds to the movies, for example many of the pod racer sounds he recorded himself. Some were of Ferrari engines, Porsche engines and even speedboat engines. But the coolest thing about Matthew is that he is the voice of General Grievous as well as the Battle Droids. So it was kind of like we were sitting there talking to Grievous himself. 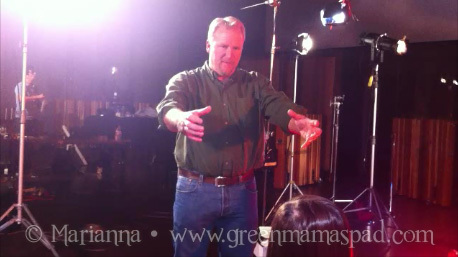 While we were talking to Matthew Wood we were seated inside the sound studio where he does much of his work. 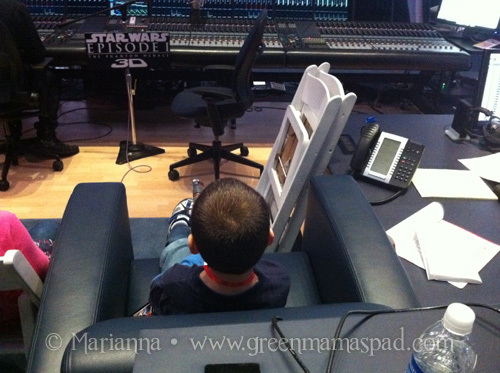 Often times George Lucas comes in to see what they are doing and it just so happens that my son was sitting in the same chair that Lucas sits in. The kids were then even able to do a little voice over themselves as Battle Droids which was a lot of fun. 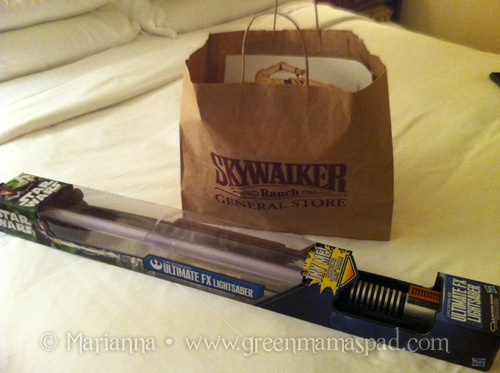 Finally, it was time for the event that my son had been waiting for all day: lightsaber training! We made our to a theater where we were greeted by ObiShawn. In addition to going over some lightsaber moves like the salute, ObiShawn also did a little Jedi mentoring. He told the kids that if they wanted to be good Jedi's, they had to keep on top of all of their studies and to find something they are really passionate about and strive to be good at it. Great advice ObiShawn! My son absolutely loved his lightsaber training with ObiShawn and he is still talking about it almost a week later. Just look at that smile! Today he even put on his Jedi robe and practiced some moves in his bedroom. After we were done with our workshops we got back on the bus and headed back to the hotel. We ordered a little room service for dinner and W could not stop talking about how this was the best day ever. I have to agree with him, it was an amazingly cool day! I will be posting about Day 2 at Presidio of San Fransisco soon which is the home of Industrial Light & Magic, LucasFilm and LucasArts. So much more cool stuff to come so stay tuned! Wow! This sounds amazing. What a wonderful trip for you and your son! So much fun! I bet it will last with you forever! AWESOME!! Wish we had one of these where I live. Loved the pics! What a COOL weekend! He's going to remember that FOREVER! That is so cool Marianna! What a fantastic experience for you and your son. I can't wait to hear about the rest of it! It's so, so cool you and W got to do this!!! How fab!!! My husband and oldest son will be going to see this movie in the theaters! Looks like you had a great time!!! 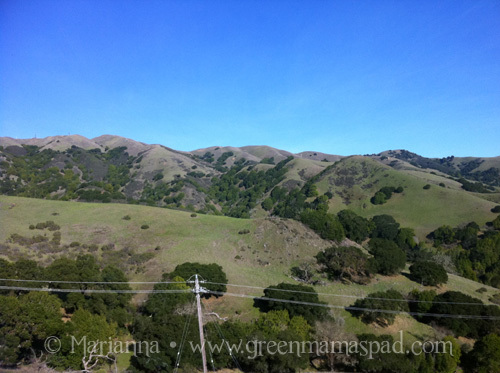 I lived in the SF area for 5 years and I miss it so much. I loved looking at your photos - and what an amazing time for your son! I told my husband about your trip and he turned absolutely green! What a fabulous opportunity. That place looks so amazing! Thanks for sharing. Great report. My daughter would have loved that. She will be 6 in June. 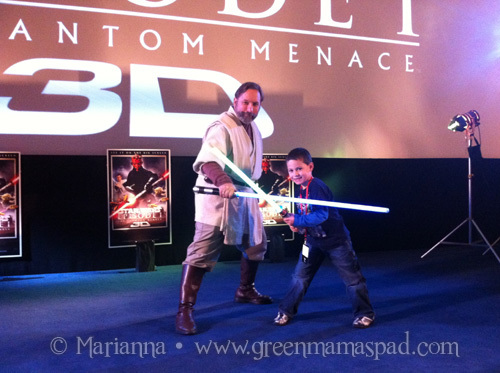 We plan on seeing the Phantom Menace together in the theatre. Wow, just wow. 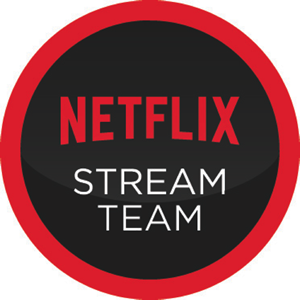 Who wouldn't want this amazing experience. And everyone you were able to speak to about the movie! Just too exciting. How fun! Just absolutely amazing! My daughters would freak but looked like you all had a good time. My son would love this and I loved seeing the area photos. 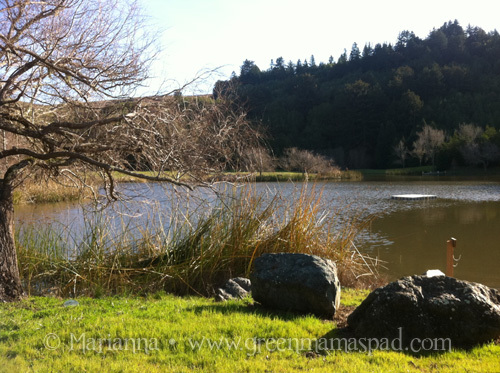 I lived in Kentfield, CA when I was little and they made me feel nostalgic! Oh wow!! That is way too cool! Did not know there was a Skywalker Ranch! Looks like lots of fun! Now this is on my places to go list! Thanks for sharing!